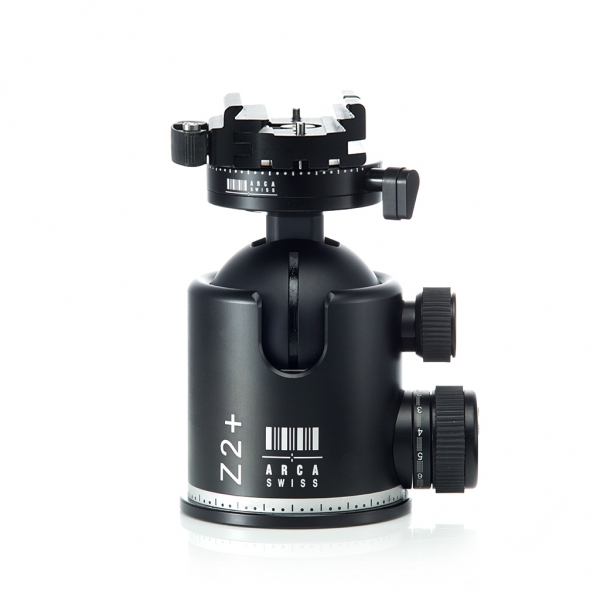 The Arca-Swiss Monoball Z2 3-Way Ballhead is a totally unique 3-way panhead designed, assembled and operated just like a ballhead. 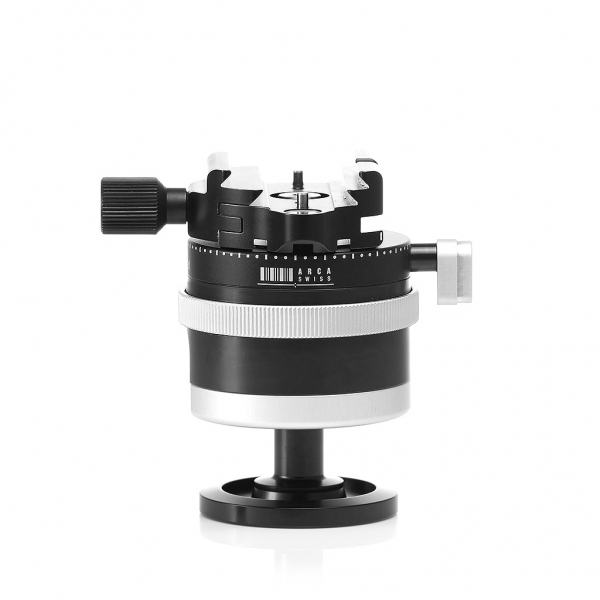 Dual axes have friction control and independent tightening knobs, and an independent panbed base makes the Z2 the ideal head for colossal setups like 8×10 view cameras or 600mm telephoto lenses. The Arca Swiss Monoball eliminates the need to modulate the tension, because its elliptical nature corrects it by virtue of its own design. The load stays exactly where you tell it to once locked into position. A separate control is set to apply a constant minimum friction, which allows the photographer the peace of mind that comes with knowing that his gear will never move of its own volition. The heavier the equipment, the more the advantages of the Arca Swiss become evident. The exquisite finish adds to the exact positioning capacity. 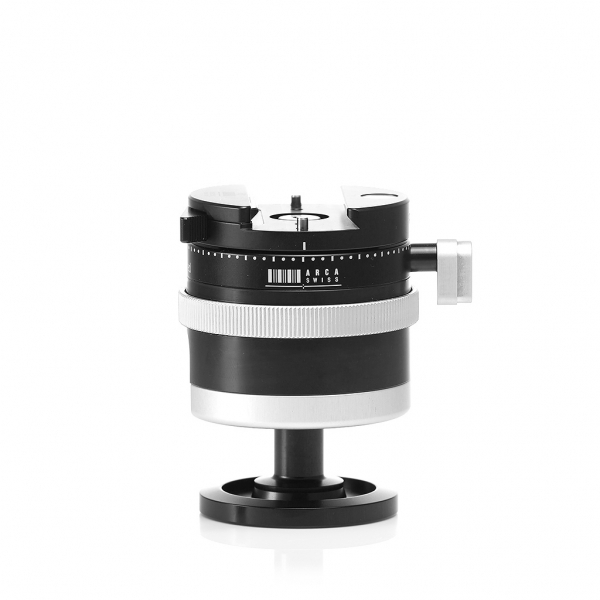 The ballhead includes the Flip-Lock quick release system that offers double safety locking features, with instant flip-lock release of the clamp, for quick mounting and dismounting of cameras. 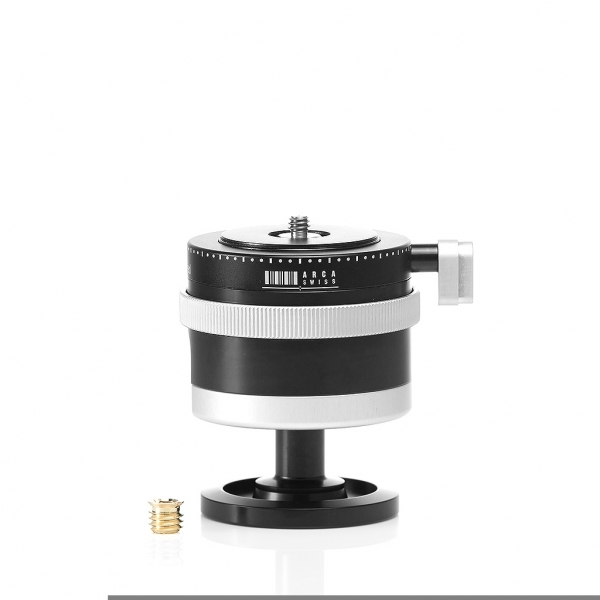 The adapter is designed so that the camera plate can travel horizontally, allowing for calibration of the center of gravity. Note: Requires camera mounting plate.